Alfred, Lord Tennyson. Guinevere and Other Poems. 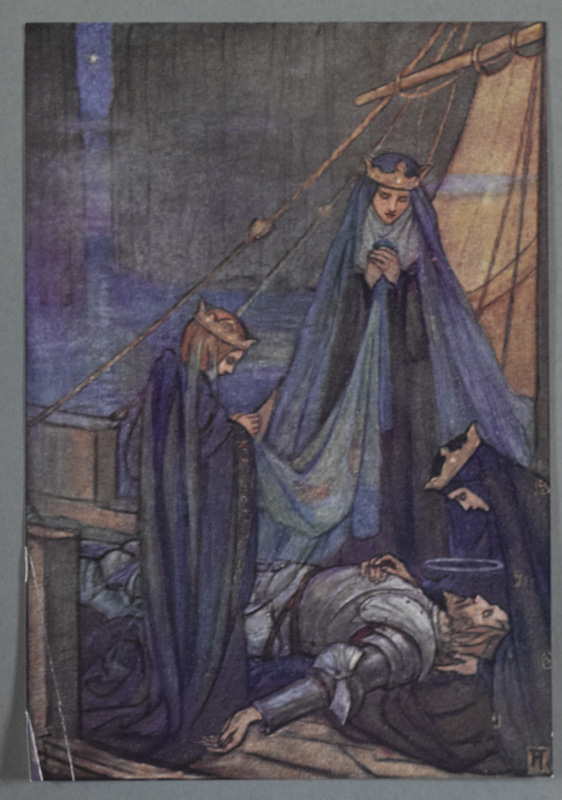 Illustrated by Florence Harrison. London: Blackie & Sons, 1912. Alfred, Lord Tennyson. Poems. 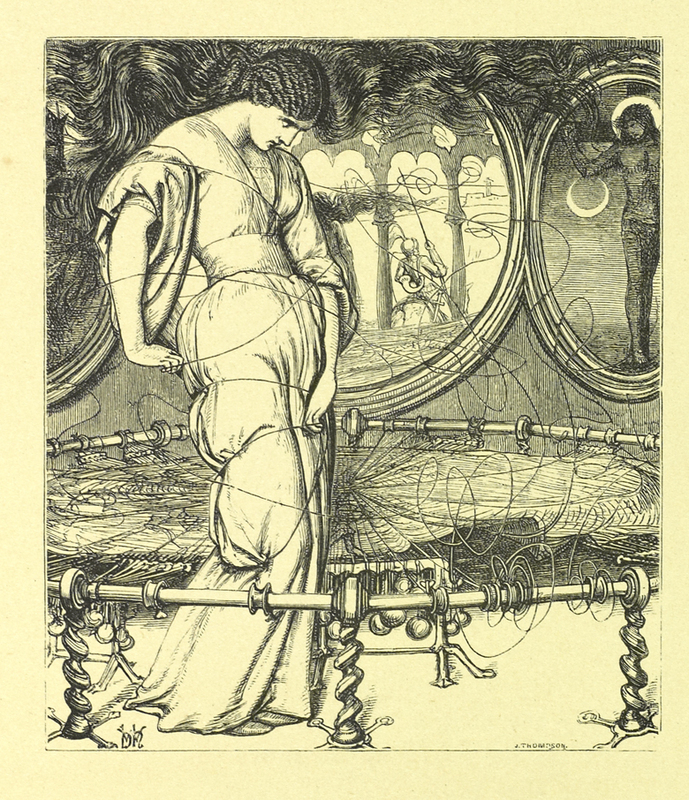 With illustrations by Millais, Stanfield, Creswick, Mulready, Horsley, etc. etc . London: Routledge, Warne, and Routledge, 1864. The birth, life and acts of King Arthur, of his noble knights of the Round table, their marvellous enquests and adventures, the achieving of the San Greal, and in the end Le morte Darthur, with the dolourous death and departing out of this world of them all. The text as written by Sir Thomas Malory, and imprinted by William Caxton at Westminster the year 1485, and now spelled in modern style. With an introduction by Professor Rhys. 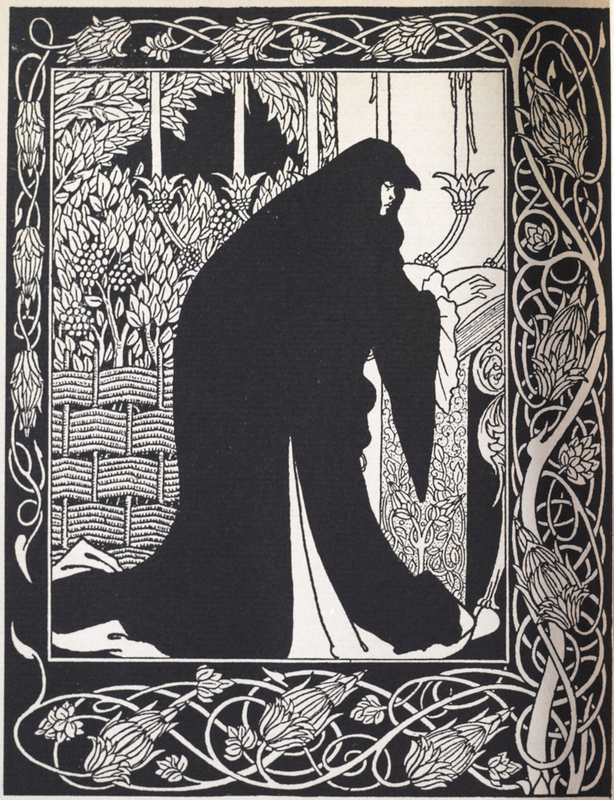 Illustrated by Aubrey Beardsley. Edinburgh: Printed by Turnbull & Spears, 1894.